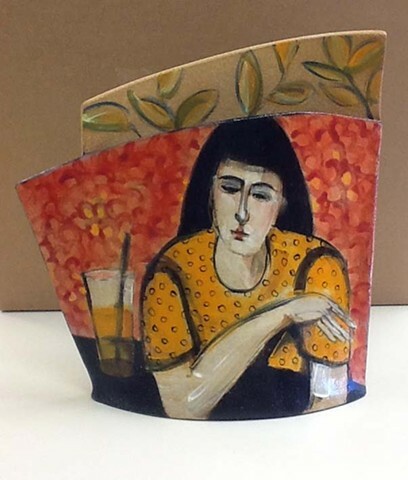 The back of this vessel is painted with the leaves you see on the surface behind the woman. I am interested in vessels that have at multiple dimensions on which to paint. I really like the shape of this one.